Lately a lot of people, some more forcefully, others more reticently, are searching for some explanation of either why they are going to vote for Donald Trump for President, or why they will not vote for Trump. Sure most of us are dismayed by the fact that the guy we favored was not selected as the final candidate, therefore we are now expected to vote for someone we did not care for at the beginning. So alright, just like many of you, I had preferred Ted Cruz, who from my point of view has personal Christian principles that closely resemble my own. Unfortunately I was very disappointed with his attitude toward Donald Trump at the convention. He began to think more about himself than about the future of our country, and yes, the future of the world. It seems like we are once again in the middle of choosing “the lesser of two evils”. Some have already begun criticizing this “choice” and are encouraging people not to vote for at all. I believe that not voting at all is an act of cowardice and egotism which would be far more costly than if we just went ahead and voted for Donald Trump. I am not going to tell anybody what they ought to do, but I know what I will do. So I will attempt to answer this question: WHY WILL I BE VOTING FOR DONALD TRUMP? But before I answer this I want you to think about a situation which will help us consider more deeply about what we will do with our vote. Keep in mind that any vote not given to Donald Trump, is a vote automatically given to his opponent. Knowing this then you realize that you have actually given your vote to Hillary. So come on and let’s be more serious and responsible than ever before about this election, because we have a vitally critical situation here! Now, I live in Arizona. Here in our hot, sunny Sonoran Desert, to spend a full day without a drink of water is to find yourself on Death’s doorstep! Suppose for a moment that you get lost in Arizona’s desert. You are exhausted and thirsty, no water all day, and near death. While the agony of a cruel death begins to possess you, a stranger finds you and offers you his canteen of water. The water is warm and slightly murky because he filled the canteen in a muddy creek miles away, earlier in the day. He offers you this lifesaving drink. What do you do? Do you refuse it because you only drink filtered water with a lot of ice cubes, and only served in a crystal vessel, offered on a silver tray? It’s not perfect, but because it’s gonna save your life, will you drink it and stop being so fussy? Well, at this point you do now, what under normal circumstances you ordinarily would not do. Remember that America has been drawn down into a desperate condition, and if Hillary wins the White House, Christians will be saying “adios” to many of the religious liberties they now enjoy. Religious freedom is the reason that I and many of you fled to the U.S.A. in the first place. We all know Hillary’s stated inclinations about religious freedom and the 1st Amendment. (B.) He has assembled a counsel of Christian leaders (25 pastors) whose advice Donald Trump will seek, should he win the election. 1. Because America’s situation is critical, we have no other choices, and we cannot afford to lose another Presidential election!! 2. Listen. We are not choosing a pastor for our church. We are electing a President who must be the President of all the American people, not just the President of the Christians. 3. There are many instances in the Bible where God personally selected somebody, and still that person turned out to be less than perfect. Consider King Saul (Isn’t God capable of making a better choice?) Well of course God is, but He REGULI PENTRU ÎNAINTAREur own small part. For those of us who are too good for America, there are other places to go. But since we happen to be here, and since we all rejoice for the many years that we’ve enjoyed all kinds of the blessings we’ve enjoyed here, we clearly have a solemn moral obligation at this crossroads of history, each of us to do his part with dignity, also to continue to pray for this, our beloved United States of America, the country where many of us found refuge from the brutal oppression of Romanian communism. May Donald Trump be strengthened and sustained by the prayers of the millions of Americans, and may he be lifted as he works for their good and for the good our country. May God bless Donald Trump in his efforts for the people, may God bless each of you as you prepare to go out to vote, and May God bless America abundantly and forever. 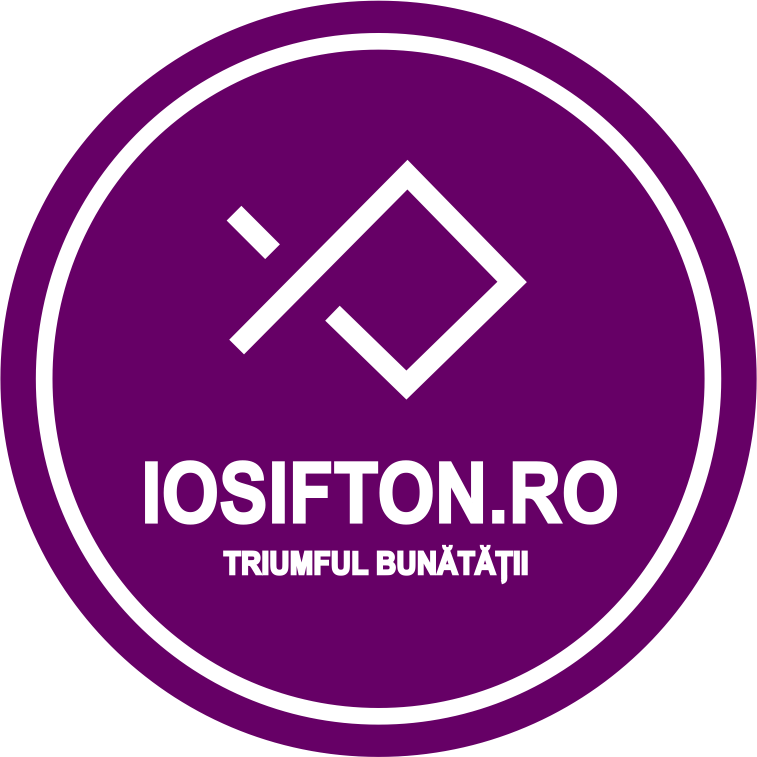 ← Iosif si Elisabeta Ton – ANIVERSARE 57 de ani!!! Nota! : Brother Mike Olari!, Nu stiu de ce dar trebuie sa-ti scriu ceva sa ramana scris. Faptul ca ati optat pentru un pierdut / perete varuit si ati pierdut partida denota ca nu ati fost total la semne. Un adevarat strajer, copil a lui Dumbezeu trebuie sa vada mai mult de cat ceea ce izbeste ochiul. Sincer va citesc mereu pamfleturile si articolele care le puneti pe altar, unele bune, foarte bune dar multe si cu impuritati. Abia acum in clipele acestea inteleg de ce si ce trebuie sa va scriu. Luati bine aminte pentru ca nu-i de la mine ceea ce va scriu. Gresala „MARE” care ati facut-o cu peretele varuit „CRUZ” prin sustinerea care i-ati oferit-o nu a fost prima si nici ultima. De-a lungul vietii spirituale pe care ati avut-o v-ati invatat sa acceptati si sa va sprijiniti pe pereti varuiti. Da aveti sclipiri si idei grozave de multe ori dar nu aveti descernamant total, nu vedeti mai departe decat haina si vorba care o poarta un om. Un adevarat strajer, copil a lui Dumbezeu vede prin „Duhul” inauntru omului, simte si accepta Voia Lui Dumnezeu. Din ceea ce ati scris in cele de mai jos inteleg ca cu greu ati acceptat Voia Lui Dumnezeu si vazandu-va depasit cautati motive sa va faceti motivat datoria care dealtfel trebuia de mult sa o faceti. DONALD J. TRUMP ESTE TROMPETA DE DESTEPTARE A LUI DUMNEZEU PENTRU USA & LUMEA INTREAGA. Eu, personal asa am simtit in Luna August 2015, cand l-am vazut in mijlocul grupului de candidati republicani. Am simtit si declarat inca de atunci ca va fi viitorul Presedinte al USA. Dar atentie ceva este inca la mijloc, o mare si grea bariera/batalie, (,,,,). Ce va fi exact inca nu stiu, dar simt ca batalia care se da in „vazduh” va fi castigata de Cel ce Vede si Cunoaste toate lucrurile, El este si va fi de partea celor care se lasa calauziti de El. DJT este unul dintre ei. Brother Mike Olari!, va fac de cunoscut faptul ca ESTABLISMENTUL republican cu CRUZ’ul dvs in frunte au tentacule puternice in bisericile evanghelice neoprotestante din USA si sunt planuri de lupta facute impotriva Celui Ales de Dumnezeu ca sa fie viitorul Presedinte al Americi. Bisericile Evangelice Romane din USA nu fac exceptie si cei 29 de pastori/pereti penticostali varuiti, $’pioni, care au fost accostati de multa vreme de cia’rep au trecut cu tentaculele lor la madianitii (,,,). Sunteti primul care ati iesit dintre ei. Nu sunteti inregimentat intre cei 29 dar va sprijiniti mereu pe ei si stati mereu la masa cu ei. Cititi mai des Psalmul 1. Acum suntem la jumatatea ultimei sute de metri si batalia se da pe fiecare milimetru. Fiti mai deslusit, mai inteligibil si mai hotarat. Chemati public a lumina toti pastorii bisericilor evanghelice care stau ascunsi intre madianiti. Sa stiti ca cu ei sau fara ei Dumnezeu va da izbanda Alesului Lui, dar le vine vremea acestor pereti varuiti si Strajerii vad bine pe toti ce fac. Nu de mult, poate mai bine de o luna, ‘CI’ a facut o gresala mare care m-a facut sa inteleg ca nu-i mai breaz ca ceilalti desi credeam ca are ceva mai special din Dumnezeu, m-a dezamagit total prin faptul ca a facut un apel la votul statului acasa, care face jocul madianitilor. Bineinteles ca a fost mana ESTABLISMENTULUI republican care sfatuiesc pastorii sa-si indrume turmele sa stea acasa. Sunati desteptarea si treziti turmele sa mearga la vot. Daca nu o veti face cu plan si organizat cu fiecare casa si biserica sa nu dati vina pe Dumnezeu ca va urma ceea ce va urma. Mulțumesc pentru sfaturile sincere, la care voi medita. Fiecare dintre noi avem lumina care o avem, cu limitele omenești de care nimeni nu este scutit.Totodata fiecare dintre noi avem dreptul la opinia personala, care putem sa riscam so facem publica sau so păstram pentru noi.Iti mulțumesc ca ai avutul curajul sa iti prezinți opinia public, apreciez acest lucru. In continuărie sa ne rugam pentru voia lui Dumnezeu cu privire la alegeri, dar făcând bine ceea ce ne revine noua. Mike Olari explains what a ‘no vote’ really means and gives some good reasons as to why he (along with many evangelicals) has chosen to vote for Donald Trump in this election.